Category Archives for "BlackBerry PlayBook"
We have released three new game apps for the BlackBerry® PlayBook™ tablet to challenge and entertain children and adults – two video games, Box Blaster and Hungry Snake™, and a word game, Wordzle™. “All three are perfect for passing time while waiting for a plane or appointment, on long car rides or just for the pure entertainment they provide anywhere you happen to be,” said Steven Kader, chief executive officer of The Jared Company. The new game apps sync instantly after download, so they are immediately ready for play and are simple to learn. Each game challenges users to increase their skill and advance to new levels. The first three levels of Box Blaster are free. An upgrade opens access to 15 additional levels. Hungry Snake and Wordzle each cost 99 cents. Box Blaster, with 18 levels of difficulty, helps children develop eye-hand coordination as they use the game’s slingshot to knock down wooden crates from platforms. The game keeps older players’ minds sharp as they calculate arc, speed and other knock-down strategies. Players choose from varying skill levels, enabling younger and beginning players to ease into the game as they learn and master the game. Players play against the clock to earn valuable time bonuses and increase their scores as they knock down the crates in less time. In Hungry Snake, a player’s snake grows longer as it eats each bite of food. But if the snake hits the edge of the screen or nips its own tail, the game is over. However, a quick tap of “New Game” starts the player on a new quest to improve his score. Hungry Snake becomes more challenging and entertaining at each level, and players win time bonuses as they improve their game play. Players may choose to play at various skill levels to vary the challenge. 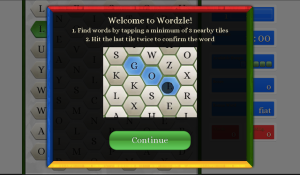 Wordzle offers varying levels of difficulty, appealing to young players just learning their ABCs and all the way to the most seasoned word game aficionados. The game tracks players’ progress, helping young and old alike expand their vocabulary or even practice English as a second language. The game features a simple player interface. Players tap the screen to create their best words, earning bonus points for faster times, longer words and moving letters to lengthen words. If you haven’t updated your PlayBook, I recommend you do so. The browser works better and there are other bug fixes. You can follow the link below for instructions if you aren’t sure how to update the software. BlackBerry PlayBook OS 2.0.1 Update Now Available «Inside BlackBerry – The Official BlackBerry Blog. Just wanted to pass along these useful tips I saw over on the BlackBerry site. 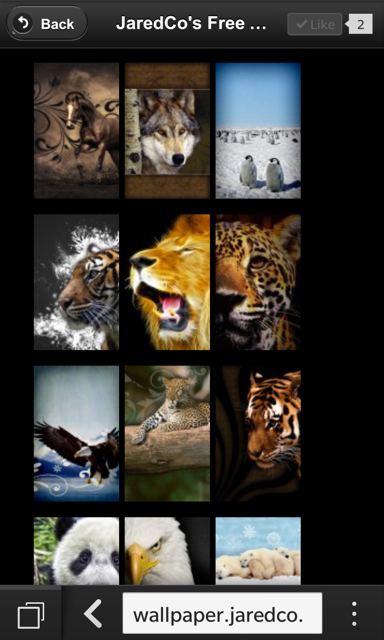 Five Tip Friday – BlackBerry PlayBook Browsing Tips «Inside BlackBerry Help Blog.